A: My family has always been very crafty and into design — well, my mom, mostly. She owned a few home décor and design stores when I was a kid and I always remember being so fascinated with moving my furniture around, decorating my room and thinking of fun colour schemes. Growing up in a small town in northern Alberta, a career as an interior designer wasn’t really an option. It wasn’t until I moved to Calgary and was juggling a waitressing job at Cactus Club and a retail job at Caban that I fell in love with the idea of being a designer. Shortly after, I applied to be the executive assistant to the creative director of Cactus Club and it was then that my career in design was born. Q: How did you get involved with Love It or List It? A: After Extreme Makeover was cancelled, I moved to Kelowna full time and was happy juggling the PNE Prize Home. I had Brookfield Homes, the B.C. Home & Garden Show and Real Women of Philadelphia, but knew I would feel more secure if I found a full-time gig. The problem was that I wasn’t willing to move to Toronto, L.A. or New York, because I wanted to be close to my family in Kelowna. And what are the chances of staying in this industry full-time in Vancouver? I lucked out and was approached by Big Coat Productions early spring and one thing led to another … and here we are! Q: What are some interior design trends we should look out for in fall 2012? A: The best trends are those that come from within your own soul: memories, keepsakes and things that make your heart go pitter-patter. I love eclectic style because it allows you to incorporate all different kinds of personality into your home without being pigeonholed into one look or time period. Q: How do you get your artistic juices flowing? A: Travelling, cruising through the days and strolling around with a cup of coffee. I love Pinterest these days, and, of course, shopping doesn’t hurt! Q: What’s your go-to outfit right now? A: Skinny jeans, Frye boots and an oversized sweater. Q: Describe the interior design of your home. A: I have three places: one in Maui, one in Vancouver and one in Kelowna, British Columbia. My favourite, believe it or not, is my place in Kelowna. It’s just a little two-bedroom spec condo but we (my cousin Sam and I — she lives with me) decorated it simply with eclectic pops of personality. It’s a bit traditional, crisp and airy, but very cosy and inviting. My place in Vancouver is actually quite modern, crisp and white, but the furniture is very traditional: Moroccan poufs, lots of white, greys and linen; very minimal art and accessories. We peppered organic homemade stumps around the home to act as side tables and stools. Q: What are your main objectives when designing a room for a man versus a woman? 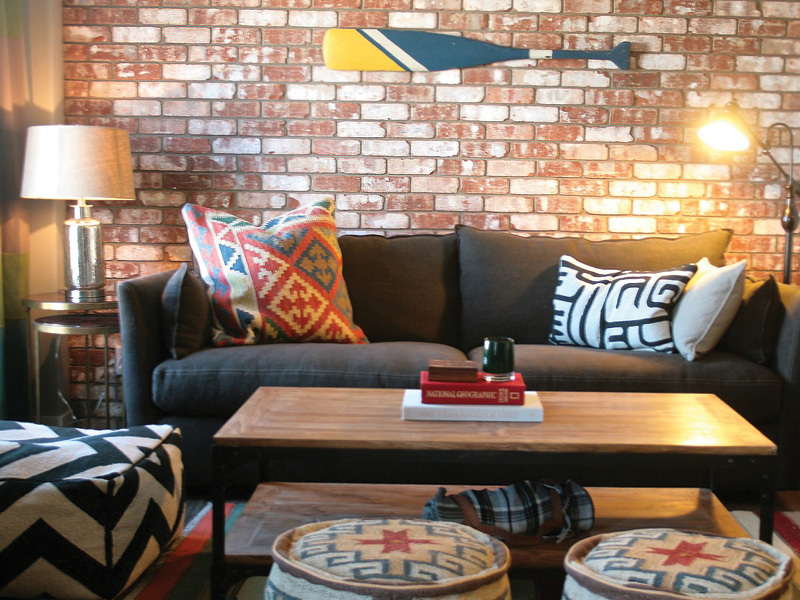 Q: What are three simple changes homeowners can do themselves that can make a strong visual impact on a space? 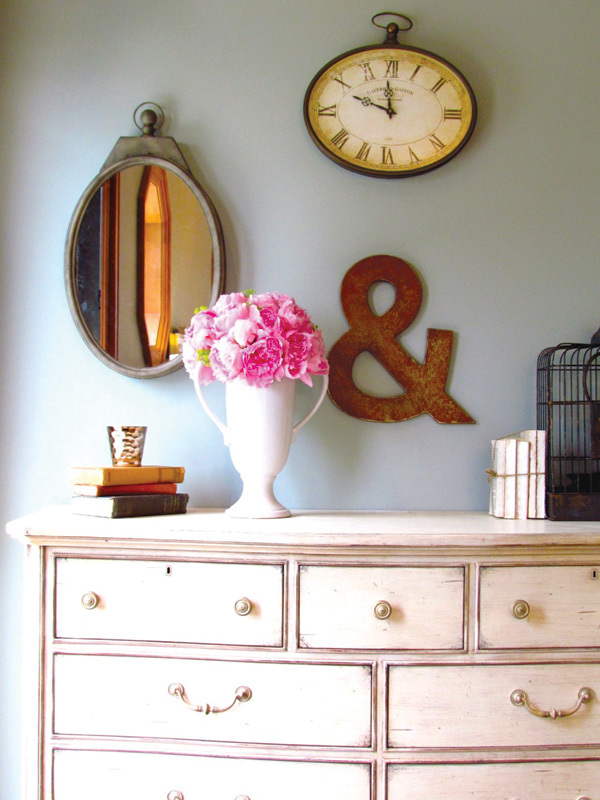 A: Painting is huge, and I have always loved rearranging furniture. Not only does it freshen up the space, but it forces you to toss or recycle items that you’re not fond of anymore. 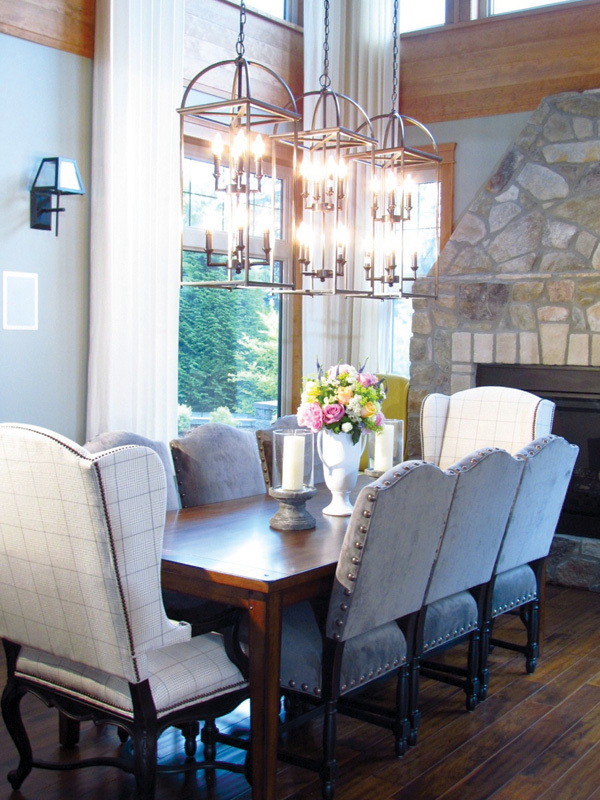 Q: What is the No.1 mistake one makes when selecting home décor? A: Putting an emphasis on matching colours to furniture sets and concepts. You shouldn’t feel like you need to carry the same colour scheme throughout the home. Q: What colour and/or fabric often brings about a challenge? A: If you’re challenged by a fabric or colour, get rid of it! Personally, I’m not a fan of burnt oranges, rusts and browns, and crushed velvet makes me cringe. I don’t like to use delicate of fabrics because I like functional furniture and accessories. Delicate silks aren’t my thing, either, although I think they are stunning. Q: Do you feel like you’ve always been portrayed as yourself on television? A: Absolutely. However, I do feel like in person, I am little more hyper and silly. I wish I could portray that on the telly, but it’s so hard to capture it all. Q: Of the furnishings or paintings that you own, what would you say reflects your personality the most? A: My gallery wall in Kelowna. It has memories from all my travels and what I love the most. Q: Who are the most important people in your life? A: I am so attached to the people in my life. My parents are my best friends; so are my cousins Tori, Sam and Steph. My granny is my heart and soul. My best friends Shannon, Karissa, Kendra, Carol and Angela. Oh, and the latest addition to my heart: my boyfriend Justin, who is just the most sincere, honest, lovely human being. Q: Do you think our society places too much emphasis on finding “the one”? A: Before meeting Justin, I was so over people telling me that ‘I will find happiness when I least expect it.’ I was like, ‘Jesus, I am already happy!’ I really was so happy when I met Justin and that is how I attracted him. It’s not like I wanted to be single forever, but I knew I would be OK if I was. Finding someone to me wasn’t about being in a rush and taking the pressure off, it was about finding that person I couldn’t live without and wanted around me all the time. Q: Throughout your life, can you recall a person or situation that kept you positive? A: My mom always did — she never let me complain and always motivated me to look at the bright side of things. My dad was always so goofy and always lives in the moment. Q: What is something that you own that you could never leave behind? A: Nothing. I love everything I have and have worked hard for it, but all I care about is my family, friends and good health. Of course I love things like my iPhone, Frye boots and my art, but those things don’t really matter at the end of the day. Q: Tell us about the most rewarding project you’ve completed. 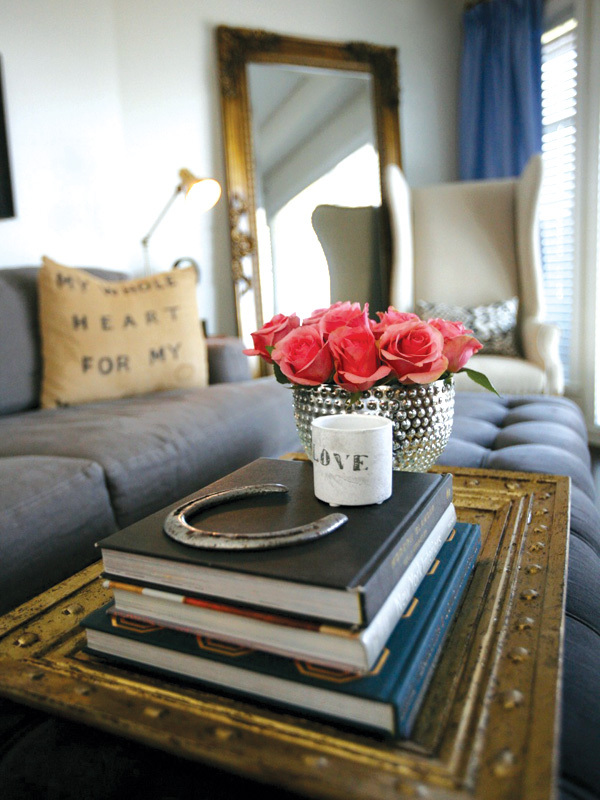 A: I loved the Brookfield Homes Bachelor and Bachelorette Pads we completed last spring in Calgary. They were so much fun. A: To be 99 per cent inspired. You miss 100 per cent of the shots you don’t take. A: I have never gotten into five-year plans because I think you set yourself up for disappointment, but having a family and slowing down in my career is definitely a part of the long-term plan. Q: Can you share with us a sneak peek of your latest project? A: My latest project is PNE 2013 Prize Home, which I am so excited about. We plan on going crisp, white and fresh — different from this last year. That, along with Love It or List It Vancouver and my website, keeps me pretty busy. So happy that the wonderful Jillian Harris found love! She is a great gal!